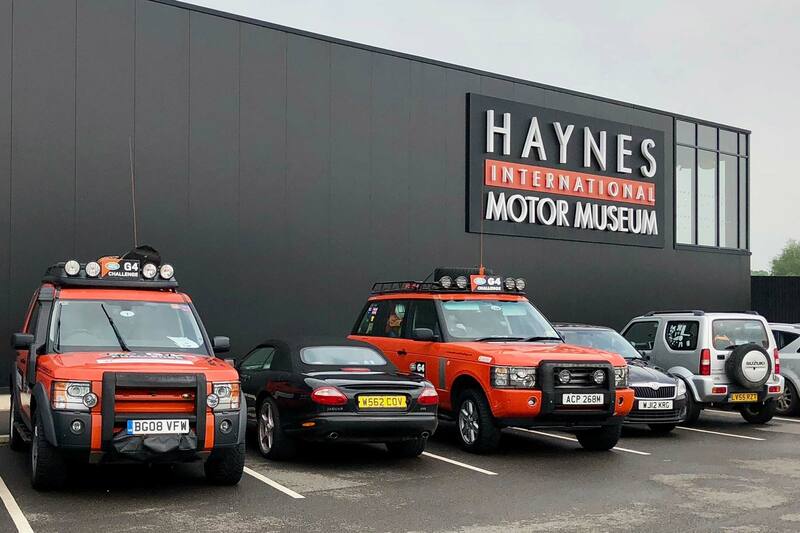 With over 400 cars and motorbikes, the Haynes International Motor Museum in Somerset is packed with variety. These were some of our highlights on a recent visit. Not a Mini, but the ‘luxurious’ Riley Elf saloon. Another classic Mustang, but red. Obviously. The only car to feature a tortoise as part of the logo, probably. Yes please, we’ll take it. ‘Memory Lane’ includes multiple British Leyland products. Burning brazier and striking workers strangely absent. Yet, it should have had a V8. Yes, it wasn’t that great to drive. But look at it! It’s a Bricklin SV-1, eh? Think modern cars are bad? How about a hot rod with an exhaust pipe for each of its twelve cylinders. You can’t be a serious car museum without a DeLorean. Fact. It might not be an R/T, but the Dodge Charger is still cool. I mean come on, an exhibit featuring six of the seven generations of Chevrolet Corvette. And an original Dodge Viper RT/10?! This is rare. Split-window Corvette existed for just one model year. C4 is ageing very well. As is the later C5. UK registration plates always spoil American cars. Do meet your childhood heroes. Even if they have interiors filled with cheap plastic. What was the first mass-produced car with a folding hard-top roof? This, of course. It might not be the fastest way to get to hospital, but it would certainly be the coolest. ESM doesn’t really do classics, but a ’37 Woody is rather cool. Quality of timber construction is to be admired. Front-wheel drive and hidden headlights. In the 1930s! After all that, ESM can wholeheartedly recommend the Haynes museum. The variety of cars on offer is deeply impressive, and many of them included are not the usual suspects you might expect to find. Previous Post BTCC 2018 | Donington Park | What did we learn? Next Post BTCC 2018 | Thruxton | What did we learn?